The idea of achieving a bezel-less display seems to become weirder in case of Oppo Reno. 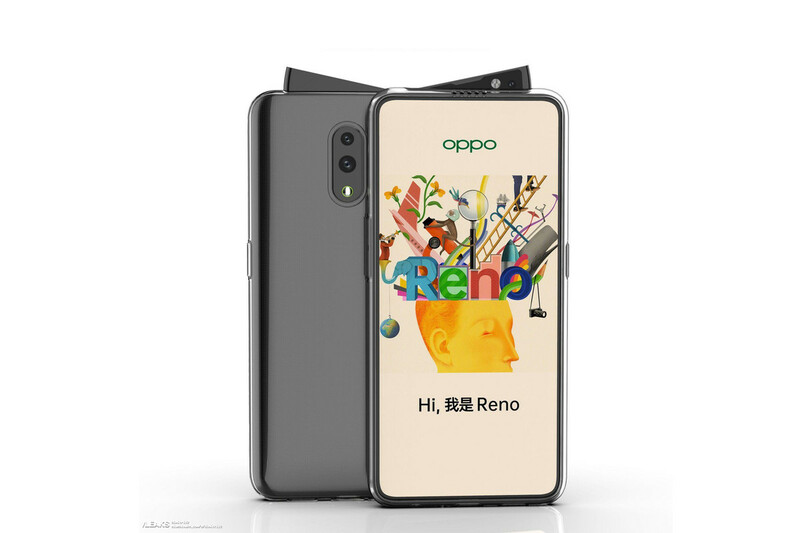 Oppo Reno case renders reveal that it comprises a never seen before pop-up selfie camera, one that suggests the phone is raising an indefinitely reprehensible eyebrow at you. However, the idea of using a motorized part to house the camera and obtain a bezel-less screen is not new. Remember Vivo NEX with its elevating selfie camera, the Oppo Find X with its bulky top slider, and the sliders used in Mi Mix 3 and Honor Magic 2. We’ve also got some information regarding the back panel design of the phone from the leaked video. The phone seems to lack the 10x zoom behind the periscope lens. The same one that was on the demo unit at MWC 2019. Also, Reno seems to be a cheaper version and therefore might come with Snapdragon 710 processor, though we have seen leaks suggesting its flagship variant with Snapdragon 855 as well. Renders also suggests that Oppo Reno will have a USB-C port, a 3.5 mm audio jack on the bottom. Again, it’ll only feature two cameras on the back. Similarly, there’s no physical button for Breeno — the newly announced voice assistant from Oppo.